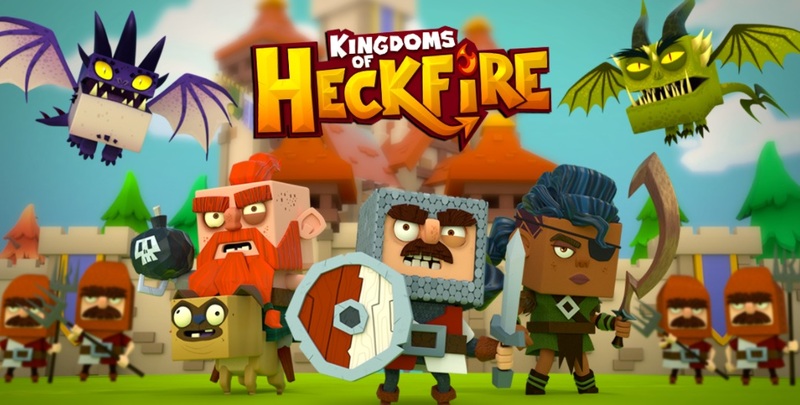 Kingdoms of Heckfire is a resource building, real time strategy MMO. Your goal is to build an empire, train dragons, strengthen your armies and destroy your enemies. The game sounds familiar, and you do need to gather and manage resources too. But what sets it apart is its humorous tone, and it is not as complex as other simulation games. You build your kingdom and manage resources by tapping and swiping at the screens and the menus, similar to other strategy MMO titles. The early part of the game is more like a tutorial so you can get the hang of the game. The longer you play the game the more features you unlock, and this is essential when building up an army. There are also speed boosters that accelerate development and resource gathering. Depending on the task, you may need to check in after a short while to see if it is done. Waiting times is standard fare for these games, but in Kingdoms of Heckfire it is shorter. Aside from resource building there are side quests which you can take part in. If you are still groping for form you can go to the university and learn about monster hunting, resource gathering, building cities and armies. The dragons are one of the main attractions here, and there are different types to choose from. What is important is you pick one that is suited for the terrain you plan to use it on, and the same goes for the rest of your warriors.